We offer a full service wheel balancing for your tyres to perfect specifications. Our technicians are experts and our equipment is state o the art American techonology manufactured by Hunter. You should balance every time you get a new set of tyres. We also recoment re-balancing and rotating your tyres every 8,000 km to ensure a smooth ride. This alse helps achieve maximum tyre life. It is a great idea to do wheel alignment at the same time as well, as this will further enhance driving pleasure and optimise tyre life. We use a dynamic wheel balancing machine that is the best of the best. Each tyre is unique in terms of weight and needs to be balanced properly. Tire balancing should also be done any time you get new wheels or rims. Even if the wheel and tyre are balanced on their own, when you pair them together it can create an imbalance. Tire balance, also referred to as tire unbalance or imbalance, describes the distribution of mass within an automobile tire or the entire wheel (including the rim) to which it is attached. Tires are balanced in factories and repair shops by two methods: static balancers and dynamic balancers. Tires with high unbalance forces are downgraded or rejected. 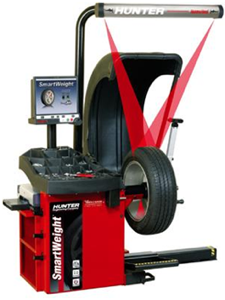 When tires are fitted to wheels at the point of sale, they are measured again on a balancing machine, and correction weights are applied to counteract the combined effect of the tire and wheel unbalance. After sale, tires may be rebalanced if driver perceives excessive vibration. Static balance can be measured by a static balancing machine where the tire is placed in its vertical axis on a non-rotating spindle tool. The spot on the tire with the greatest mass is acted upon by gravity to deflect the tooling downward. The amount of deflection indicates the magnitude of the unbalance. The angle of the deflection indicates the angular location of the unbalance. In tire manufacturing factories, static balancers operate by use of sensors mounted to the spindle assembly. In tire retail shops, static balancers are usually non-rotating bubble balancers, where the magnitude and angle of the unbalance is observed by looking at the center bubble in an oil-filled glass sighting gauge. 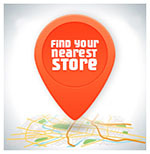 While some very small shops which lack specialized machines still do this process, they have been largely replaced in larger shops with machines. Dynamic balance describes the forces generated by asymmetric mass distribution when the tire is rotated, usually at a high speed. In the tire factory, the tire and wheel are mounted on a balancing machine test wheel, the assembly is accelerated up to a speed of 100 RPM (10 to 15 mph with recent high sensitivity sensors) or higher, 300 RPM (55 to 60 mph with typical low sensitivity sensors), and forces of unbalance are measured by sensors as the tire rotates. These forces are resolved into static and couple values for the inner and outer planes of the wheel, and compared to the unbalance tolerance (the maximum allowable manufacturing limits). If the tire is not checked, it has the potential to wobble and perform poorly. In tire retail shops, tire/wheel assemblies are checked on a spin-balancer, which determines the amount and angle of unbalance. Balance weights are then fitted to the outer and inner flanges of the wheel. Dynamic balance is better (it is more comprehensive) than static balance alone, because both couple and static forces are measured and corrected. The dynamic balance can only be conducted if the driver comes to the garage and has the garage check for imbalances. With the existing sensors found in many cars, however, the imbalance can be estimated in real time, as seen in a recent SAE paper: sensors such as the anti-lock braking system (ABS) wheel speed sensors were used to detect an imbalanced tire or tires in real time. Mathematically, the moment of inertia of the wheel is a tensor. That is, to a first approximation (neglecting deformations due to its elasticity) the wheel and axle assembly are a rigid rotor to which the engine and brakes apply a torque vector aligned with the axle. If that torque vector is not aligned with the principal axis of the moment of inertia, the resultant angular acceleration will be in a different direction from the applied torque. Whenever a rotor is forced to rotate about an axis that is not a principal axis, an external torque is needed. This is not a torque about the rotation axis (as in a driving or braking torque), but is a torque perpendicular to that direction. If the rotor is suspended by bearings, this torque is created by reaction forces in the bearings (acting perpendicular to the shaft). These reaction forces turn with the shaft as the rotor turns, at every point producing exactly the torque needed to keep the wheel rotating about the non-principal axis. These reaction forces can excite the structure to which they are attached. In the case of a car, the suspension elements can vibrate giving an uncomfortable feel to the car occupants. In practical terms, the wheel will wobble. Automotive technicians reduce the wobble to an acceptable level when balancing the wheel by adding small weights to the inner and outer wheel rims. Balancing is not to be confused with wheel alignment. Jianbo Lu, Dimitar Filev and Len Johnson (2011). "Real-time Tire Imbalance Detection Using ABS Wheel Speed Sensors". AE Int. J. Mater. Manuf. 4 (1): 1036–1047. doi:10.4271/2011-01-0981. National Lead Free Wheel Weight Initiative (NLFWWI). epa.gov. Retrieved on 2012-06-26. This article uses material from the Wikipedia article "Metasyntactic_variable", which is released under the Creative Commons Attribution-Share-Alike License 3.0.